Missing out on the Cherry Blossom Season? Worry not, as you can cook one up in your own kitchen! Join us as we embark into this season and bake your way into a cherry blossom delight. Learn how to make a soft and fluffy cherry blossom chiffon sponge cake, paired with cherry blossom infused peach chantilly cream. 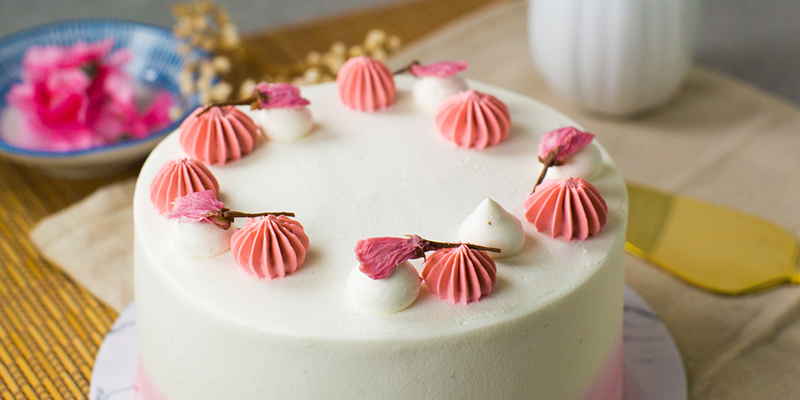 Lastly, decorate your cake with a delightful ombre effect and real sakura flowers!